Today I got the great opportunity to visit Smaldon Primary with a visiting team from General Mills. There are 70 students there that regularly use the XO laptop in their lessons. 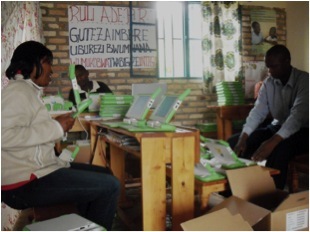 OLPC-Rwanda is honored and happy to be appointed to the scientific subcommittee of the MINEDUC/Rwandan Education Board International Conference on Technology in Education which will take place in early 2012. The call for papers will be released soon! Currently we are in the middle of a lesson development workshop with our colleagues on the learning team of MINEDUC. This past Friday we had a guest workshop from three volunteers from Voluntary Service Overseas (VSO). 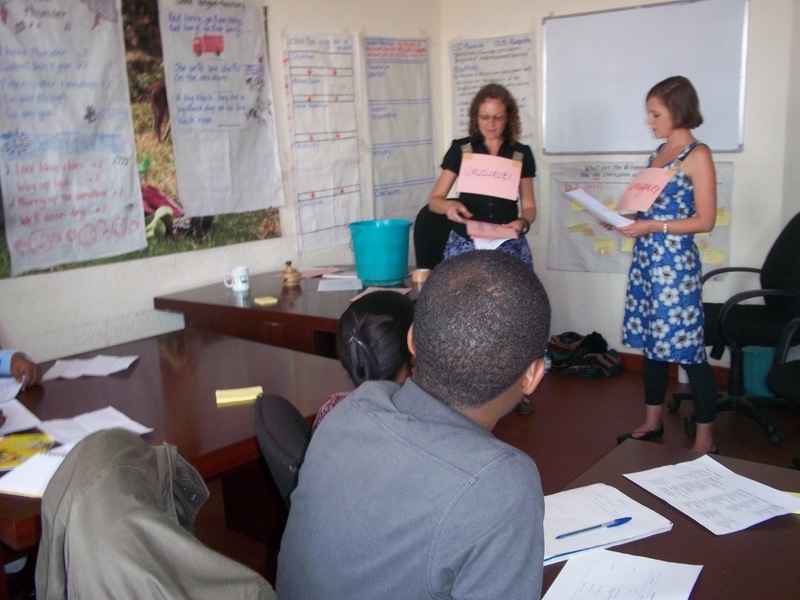 They were each involved in the revision of the English & Social Study curriculum of Rwandan secondary schools. They showed us the differences between the new and the old curriculums through learner-centered activities. The main difference between the two was the level of detail. In the old currciulum there was basically a list of subjects, but in the new one there is more description on how the lesson can be carried out through learning-centred methods, information on what the students and teacher should be doing and what are the expected outcomes. They also made sure to relate these concepts to Rwandan life. For example, approach early mathematics by introducing a market and the need to buy a certain number of vegetables and fruits, etc. An interesting challenge they noted to their work was that even though there is a new curriculum there is no awareness about this to schools and teachers and the process to get a curriculum involves either downloading it through the internet (you can imagine the challenges there) or the teacher has to physically go the warehouse were they are stored and request one. The group is doing a great job distributing to all the schools they can. We concluded the workshop with some basics on creating a lesson plan using the new curriculum. It was very useful and has given our team many ideas and strategies to spread the word about the new curriculum and how the laptop can further enhance its effectiveness. In an effort to ensure that laptops provided to students in schools are not stolen, the Rwandan Ministry of Education, with the assistance of OLPC, has enabled a security feature forcing all laptops that are not in schools to shut down. Currently, 124 schools and a little over 61,000 children are enjoying the usage of XO laptops across the country. More schools are being targeted as the government has now received an additional 35,000 laptops, 32,000 of which, are of the latest version the XO Revision 1.5. This should allow an additional 70 schools to participate in the program. This will effectively place Rwanda as the XO largest deployment outside of South America. The security feature was added to the laptops during a re-flash process where all 65,000 laptops were updated with the latest software and additional educational activities to ensure that the laptops are used in an educationally suitable manner. According to Nkubito Bakuramutsa, the National OLPC Coordinator, moving forward, the project is also rethinking its approach to private schools, so that those who have purchased laptops will be enabled with digital content from primary 4 to primary 6 on SD cards. The security feature has triggered a current exercise of visiting schools; checking on the count of laptops; recapturing serial numbers as well as repairing the failing ones, according to Patrick Mugabo, the officer in charge of logistics at the Ministry. Any laptops which will not be enabled by the OLPC engineers will remain in a failing state until they are brought back to the schools or to the Ministry. The activation process of laptops, which began last week in the southern province, will continue until the entire country is covered. While today, this process is being done manually, servers being installed at schools will take over and automate this process by the end of the year. 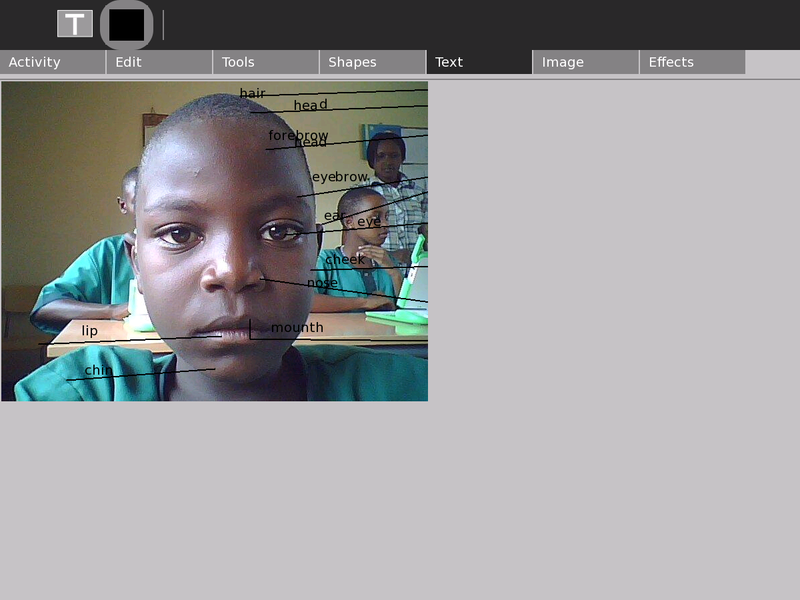 With the OLPC project, primary students in Rwanda are being exposed not only to technology in the classroom but also to a new way of learning by doing. Already over 1000 teachers have received a first phase of workshops to introduce methods of integrating these laptops into their lessons. The Ministry of Education is committed to enhance the quality of education through the integration of technology as one of the strategy of meeting its National Kivu retreat goals. To get a sense of the change this project is bringing in schools, the community is invited to join the national OLPC SCRATCH DAY, which will take place in September 2011. OLPC-Rwanda held Rwanda’s first-ever Scratch Day event with support from the Rwandan Ministry of Education (MINEDUC) this past Saturday, to exemplify the power of children teaching both their peers and adults how to use Scratch to create projects under the themes of social studies, science and English. The hope of the workshop was that it would offer teachers and others an example of a different dynamic, a non-teacher or adult-centered room, that is fun and engaging while incorporating powerful uses of technology in education. An exposition of projects created by students also provided examples of ways that teachers can incorporate Scratch into their lessons, hence the academic themes. There were a total of 139 participants!!!! The participants included teachers, community members, parents, students from schools using laptops, and other children of all ages. The children were amazing teachers and even found ways to incorporate dance and comedy into their workshop plan. This day was fully documented and these documents will be created into a “mini-kit” so that teachers or community members across the country can replicate this day at a local level. Since we do have this great opportunity of a connection with students living around our office, and who are on holiday, we decided to hold a Scratch Workshop. This will be the first in a series of workshops that will promote informal learning environments in Rwanda.